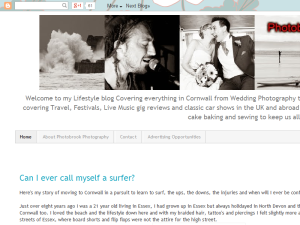 Welcome to my blog Covering everything from Wedding photography to surf photography and everything in between. Here my blog explores my daily musings and outings covering event photography, Festivals, live music gig reviews and classic car shows as well as some cake baking in between. This what your Photobrook Photography Blog Ad will look like to visitors! Of course you will want to use keywords and ad targeting to get the most out of your ad campaign! So purchase an ad space today before there all gone! Vienna Zoo, the Tiergarten Schonbrunn, seeing twin baby pandas and THE BIGGEST SURPRISE EVER! If you are the owner of Photobrook Photography, or someone who enjoys this blog why not upgrade it to a Featured Listing or Permanent Listing?